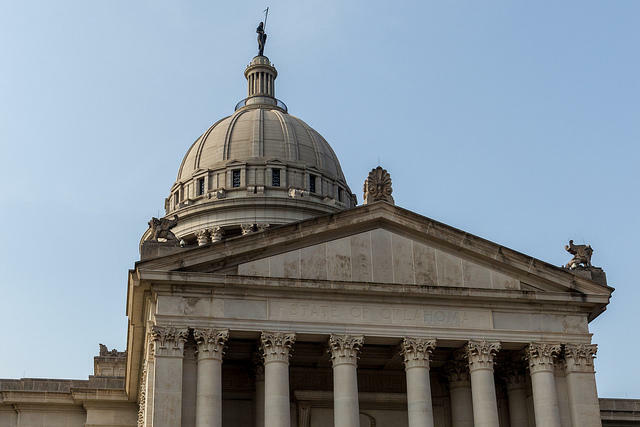 Before adjourning the 2018 Legislative Session on May 3, Oklahoma lawmakers passed a number of bills that could face legal challenges or vetoes from Gov. Mary Fallin. Lawmakers passed Senate Bill 1140, a bill allowing private adoption agencies that contract with the state to act in accordance with their “written religious or moral convictions or policies.” The bill includes language prohibiting the agencies from violating federal and state law, but it’s unlikely to evade legal challenges, according to eCapitol’s Shawn Ashley. 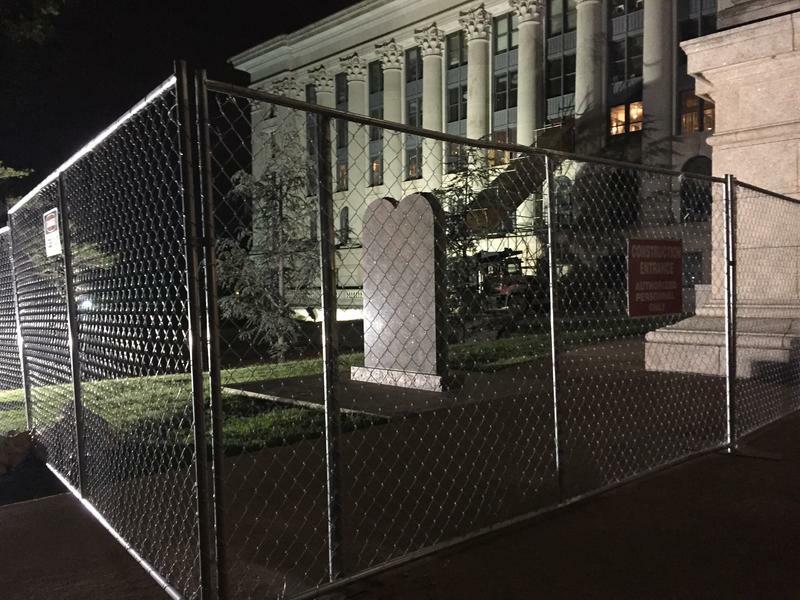 Just over a year ago—under the dark of night—a Ten Commandments monument was removed from the state Capitol grounds. State Rep. Mike Ritze, R-Tulsa, paid for it. Gov. Mary Fallin supported it. But its placement prompted a public debate—and ultimately a lawsuit—that forced its removal. The Oklahoma Supreme Court ruled it had to come down and based their decision on a section of the Oklahoma Constitution—Article 2, Section 5—that says public money and property may not be used to benefit religion. 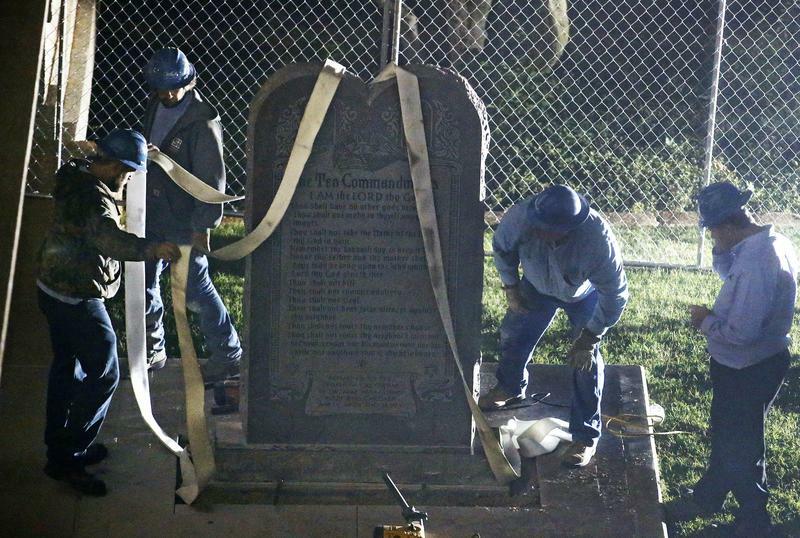 Late Monday night workers removed the Ten Commandments monument from the grounds of the state Capitol, satisfying a ruling by the Oklahoma Supreme Court. In June, the state’s highest civil court decided the privately funded display on the north side of the building violates a section of the Oklahoma Constitution prohibiting the use of state property to endorse a specific religion. The state will remove a Ten Commandments monument from the capitol grounds before October 12. The Oklahoman newspaper reports that a state panel authorized the removal Tuesday of the monument, though it is unclear where it will go. The Office of Management and Enterprise Services will be in charge of removing the monument. Oklahoma Attorney General Scott Pruitt is continuing his fight to keep a Ten Commandments monument on the grounds of the state Capitol, despite an order from the state's highest court that it must be removed. Pruitt on Thursday filed a brief in state court alleging that the Oklahoma Supreme Court's ruling "evinces a hostility towards religion." 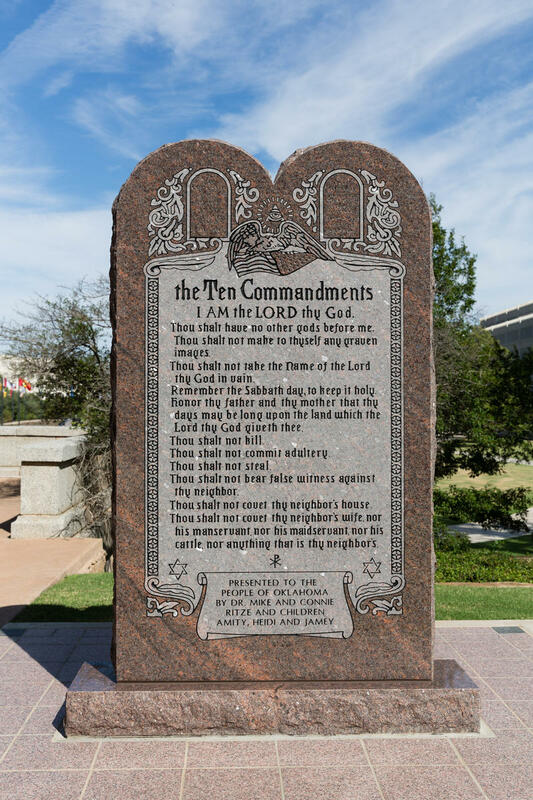 The Oklahoma Supreme Court has instructed a judge to implement a ruling that a Ten Commandments monument on the state Capitol grounds is unconstitutional and must be removed. The state's highest court issued the mandate Thursday to carry out its June 30 decision that the monument is a religious symbol and must be removed because it violates a state constitutional ban on using public property to benefit a religion. The 7-2 ruling was reaffirmed last month when the court denied a rehearing sought by Attorney General Scott Pruitt. The Oklahoma Supreme Court Monday reaffirmed its decision that a Ten Commandments monument must be removed from the capitol grounds. The high court denied Attorney General Scott Pruitt’s request for a rehearing. The state supreme court justices found nothing of merit to rehear the case. They ruled on June 30 that the monument was in violation of the state constitution’s ban on using public money for religious purposes. American Civil Liberties Union legal director Brady Henderson says he expected the court’s decision to reaffirm. 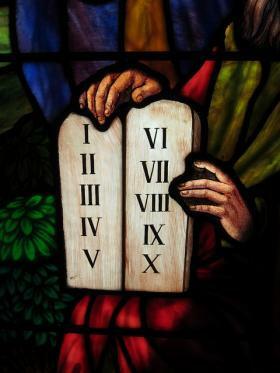 A push to amend the state Constitution to keep a Ten Commandments monument at the State Capitol could also boost efforts to expand school choice vouchers and education savings accounts in Oklahoma. The end of June was a busy few days for both the state and federal judiciary. 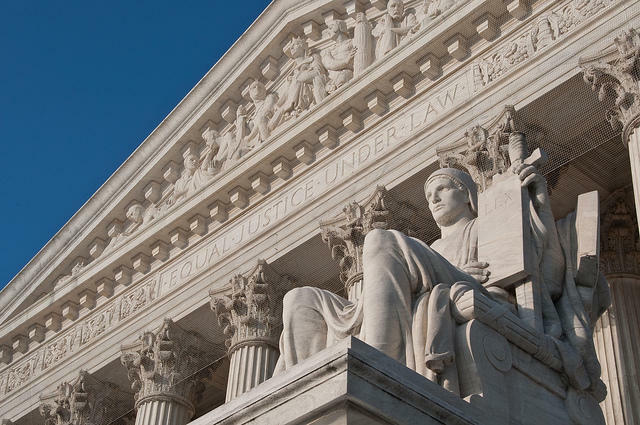 As the U.S. Supreme Court wound down its term, opinions in some of the widest-reaching cases came in the final few days. But a lot of the reasons behind all of this began years ago. Gov. Mary Fallin reiterated her belief Wednesday the Oklahoma Supreme Court made the wrong decision last month when it ruled the Ten Commandments monument on the state Capitol grounds violates Oklahoma's constitution. 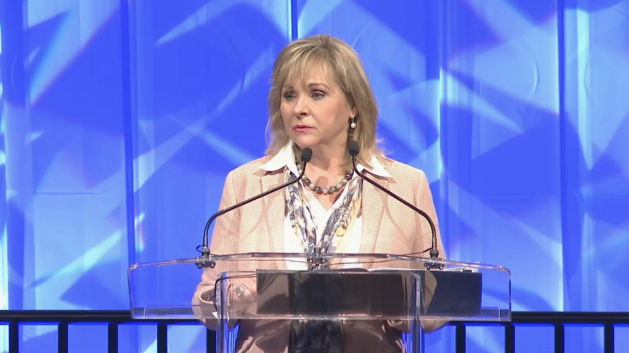 Fallin delivered her State of the State address to the Tulsa Regional Chamber Wednesday, and told business leaders she wants to see lawmakers introduce an amendment to fix "ambiguity" in Oklahoma's constitution. The controversial Ten Commandments monument will stay on the grounds of the Oklahoma State Capitol during the legal process challenging whether or not it’s constitutional. 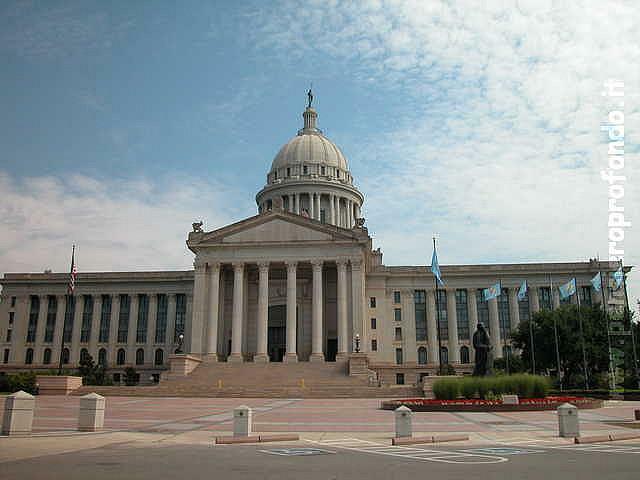 A group of Oklahoma lawmakers has filed a constitutional amendment to remove language from the state constitution that the Supreme Court says prohibits a Ten Commandments monument on the grounds of the state Capitol. Republican Rep. John Paul Jordan of Yukon is principal author of the resolution that calls for a statewide vote of the people to remove Article 2, Section 5 of the state constitution. The provision prohibits public money or property from being used for religious purposes. More than a dozen other lawmakers have signed on as co-authors. 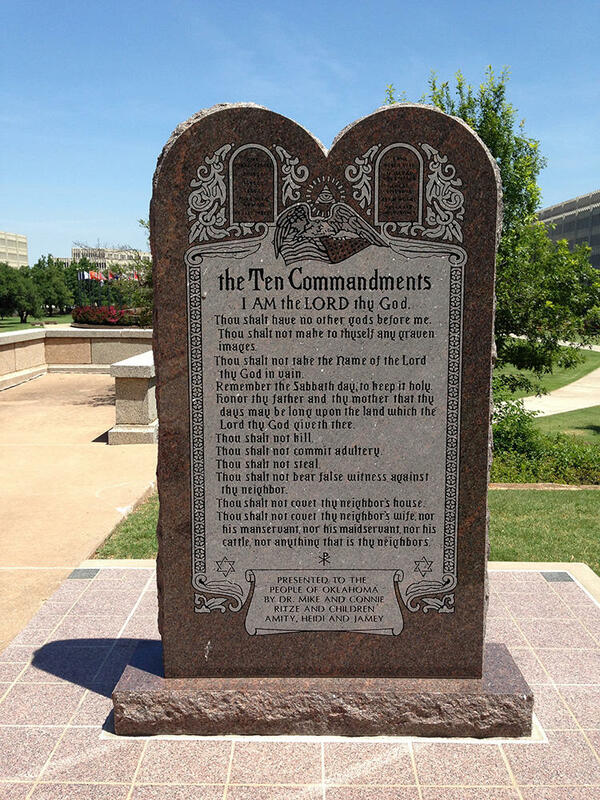 The Oklahoma Supreme Court's decision to order a Ten Commandments monument removed from the state Capitol grounds has so angered conservatives in the Legislature that some Republicans are calling for justices to be impeached. Others want to amend the Bill of Rights in the 108-year-old state constitution. The outcry immediately followed the court's 7-2 decision Tuesday that the monument violates the Oklahoma constitution's ban on using public property to benefit a religion. House Speaker Jeff Hickman is joining the growing chorus of Republican legislators demanding action after the Supreme Court's decision to order the Ten Commandments monument removed from the Capitol grounds. 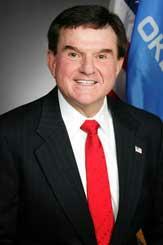 Hickman said in a statement Wednesday that calls for the impeachment of justices and for a public vote on amending the Oklahoma Constitution are within the Legislature's authority and "will be seriously considered." The Oklahoma Supreme Court ruled Tuesday the Ten Commandments monument at the state Capitol has to be removed because it violates the state constitution’s ban on using public property to benefit a religion. 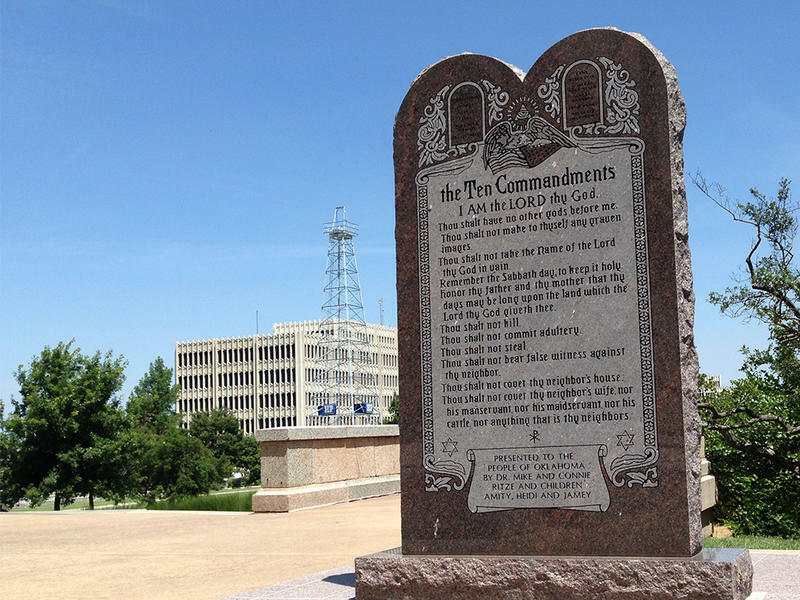 A federal judge has dismissed a lawsuit that challenges a Ten Commandments monument on the grounds of the Oklahoma state Capitol. U.S. District Judge Robin Cauthron handed down an order Tuesday that dismissed the lawsuit filed by a New Jersey-based nonprofit group, American Atheists Inc., and two of its members in January 2014. Cauthron ruled that the group lacked legal standing to file the lawsuit. An attorney for the group, Eric O Husby of Tampa, Florida, says he disagrees with the ruling but that no decision has been made to appeal it. A Ten Commandments monument on the Oklahoma Capitol grounds that was destroyed by a man who ran over it with his vehicle has been replaced. Workers from a Kansas-based memorial company reinstalled a new granite monument on Thursday. Gary Mosier with Wilbert Memorials said the 2,400-pound monument is made from granite from a quarry in South Dakota. The design was added at the company's facility in Kansas. A Republican legislator whose family paid $10,000 for a Ten Commandments monument at the center of lawsuit says he has ordered a new one after someone drove a car across the statehouse lawn and smashed it into pieces. State Rep. Mike Ritze of Broken Arrow says he has ordered an identical Ten Commandments monument that is under construction. Like the first one, he says it will be built entirely with private money and that a fundraiser is ongoing. Federal authorities have detained a man who they say admitted to driving a car into a disputed Ten Commandments monument outside the Oklahoma Capitol building, smashing it to pieces. U.S. Secret Service agent David Allison says the man was detained Friday after he showed up at a federal building in Oklahoma City, rambling and making derogatory statements about the president. Allison says the man admitted to destroying the monument and claimed Satan told him to do it.